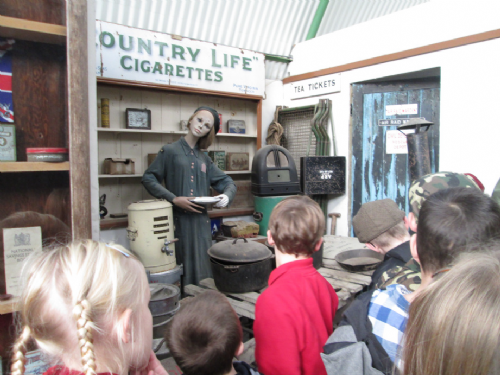 The Year 3 & 4 children and staff from All Saints and Exford First Schools dressed up in World War 2 costumes to visit Cobatton Combat Museum near Barnstaple. 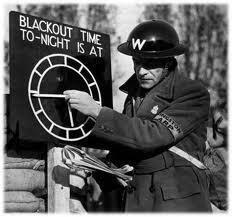 We had a fantastic experience dressed as land girls, air raid wardens, evacuees, soldiers and even a WW2 pilot! 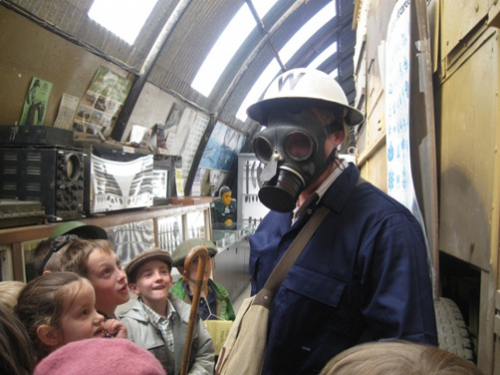 We found out about how the people of Britain protected themselves from the Blitz by looking at artefacts and going inside an Anderson shelter. We were really lucky that one of our parents, Henry Lyndsay, came along to share his extensive knowledge on the military vehicles used during the war. The museum as a large collection of military equipment, vehicles and everyday domestic items from the period. We had an amazing day out. The children would like to thank all the staff and parents for making this experience possible.